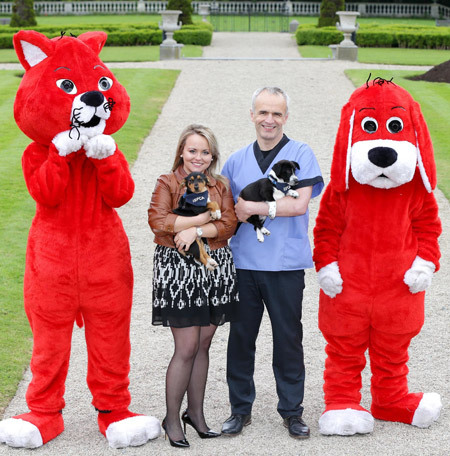 Broadcaster Claire Byrne has backed SpayAware’s 2014 campaign to end the needless destruction of unwanted dogs and cats. She and fellow broadcaster, TV vet Pete Wedderburn, were joined by some furry friends for a photocall at the Radisson Blu St Helen’s Hotel in Dublin for the launch of this year’s awareness campaign. The campaign aims to reduce the annual toll of healthy cats and dogs destroyed in Ireland by persuading more owners to spay or neuter their pets. According to SpayAware founder Pete Wedderburn, unplanned pet pregnancies are a key cause of the overpopulation crisis. Reiterating SpayAware’s central message, Pete Wedderburn said the best way individual pet owners can help end the killing is to ensure their cats or dogs are neutered or spayed. 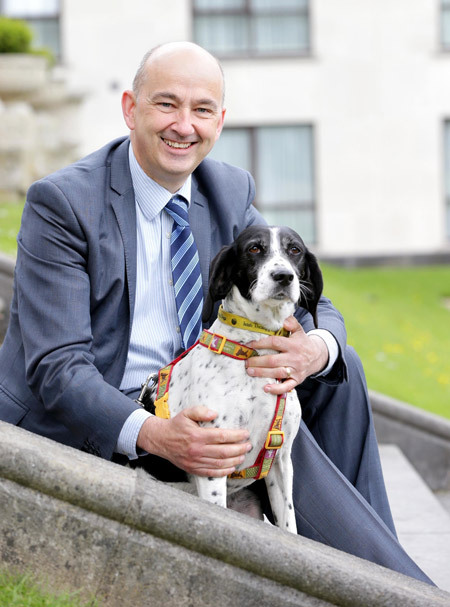 It’s not always easy to persuade owners to heed the message that spaying and neutering their pets is key to overcoming the Ireland’s pet overpopulation crisis. According to vet and SpayAware founder Pete Wedderburn, most owners who allow their pets to breed do not believe that they are adding to the overpopulation problem if they manage to find homes for the resulting litters. Other myths and misconceptions around spaying and neutering also persist. While many owners still feel it is somehow better to let nature run its course, the best veterinary advice is that in the vast majority of cases, spay/neuter is much the healthier option. The DoneDeal PetAware Project is once again supporting the 2014 SpayAware campaign. Announcing their support, they said they are committed to creating meaningful change in the community, through social, health, educational and environmental measures, and by investing in direct support services, research and advocacy for older people, adults, children and animals. Its PetAware Project promotes responsible pet ownership and advocates adoption of animals as a first choice over purchase.